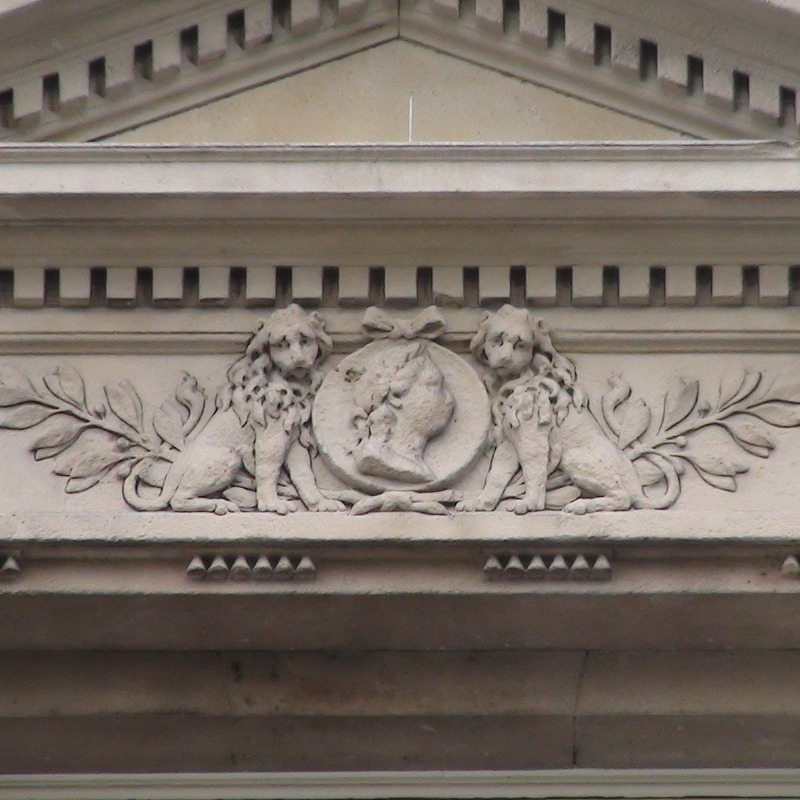 The three central first floor windows of the Strand Block of Somerset House are each topped, below their pediment, with a relief portrait. Who are these characters? We’d put money on the left-hand relief representing King George III. He was reigning all the time that this building was in construction, 1776 – 1780. And surely one of the two ladies is Queen Charlotte, his queen from 1761 until her death in 1818. The relief to the right looks most like other portraits of her so we plump for that one. And the lady in the middle? So weather-beaten that her two companion lions are crestfallen at the state of her. The royal couple had six daughters but the oldest was only 14 in 1780, surely too young. George III’s mother had died in 1772 so it’s unlikely to be her. Truly we have no idea and would be pleased to hear from anyone with some knowledge. We might even be wrong about all three. Candidates for the sculptor of these 3 portrait reliefs are: Agostino Carlini and Giuseppe Ceracchi. 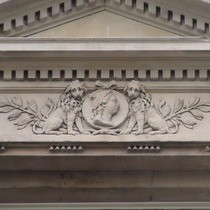 They both worked on this facade as detailed at Ornamental Passions.